Backpacken in Australia. It used to be something special but who hasn’t done it nowadays. The beautiful island on the other side of the world offers enough place and hundreds of great attractions and interesting cities. Last month I started a new range of articles on Berlin-Enjoy where I will publish 10 travel-photos about a specific topic (see article last month). This month backpacking in Australia is the central topic but we will not discuss the usual must-do’s like Uluru, Fraser Island and The Maya’s. 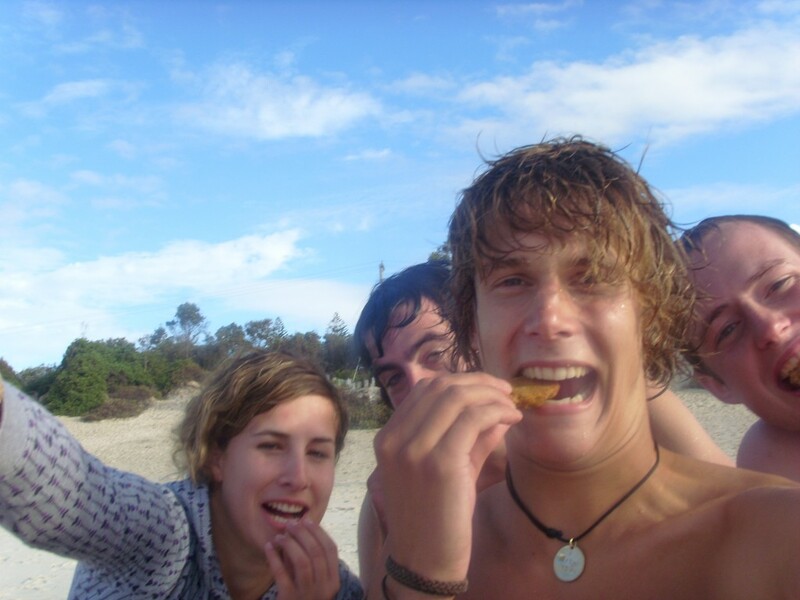 No, we will focus on unusual must-do’s for backpackers which might be an addition for your future trip to Australia. Here we go! It’s for free and it is one of the great things you should experience when you are backpacking Australia. Make sure you are in the middle of nowhere somewhere and go with a small group (no organized tours!). If you far away from all cities, the amount of stars will absolutely blow your mind in the night. Make sure you check for dangerous animals though. Don’t do drugs is also something I support. So skip this must-do if you want nothing to do with drugs (which is a good thought). But I decided to try the hasj-cookies in Nimbin and it was a pretty cool experience. Nimbin is a city on the eastcoast and basically survives by selling these cookies. If you go there with a group it will be a funny experience. 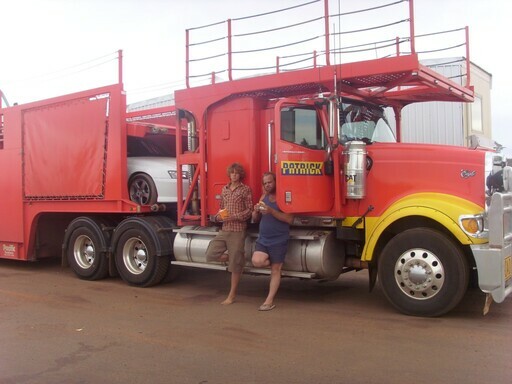 One of the coolest unusual must-do’s in Australia would be lifting in one of the gigantic Roadtrains. These roadtrains can only be found in Australia and can be more than 30 meters long. 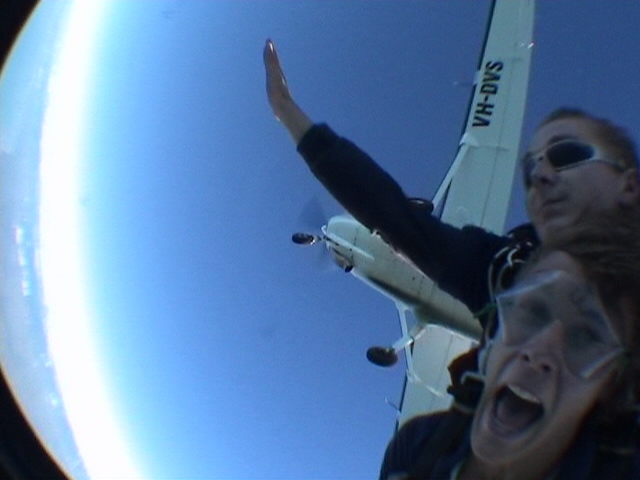 We took a lift from Broome to Cairns and it was awesome. I would not advice girls to do this by themselves but couples and guys should definitely try this as a cheap way of traveling and a great experience. Australia is full of Backpackers. Especially around the popular attractions and in the large cities you will meet heaps of new friends. 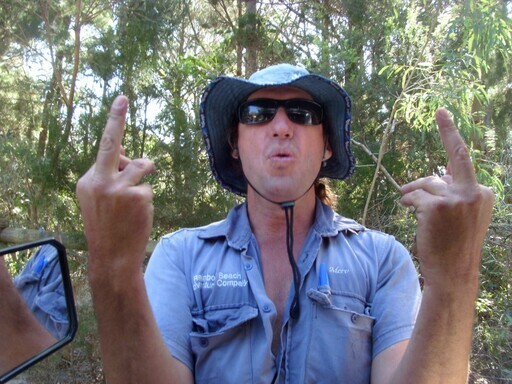 But besides backpackers you should also try to get to know a few real Ozzie’s. They are great people and very friendly. Have a nice “barbie” with them and learn about their background. 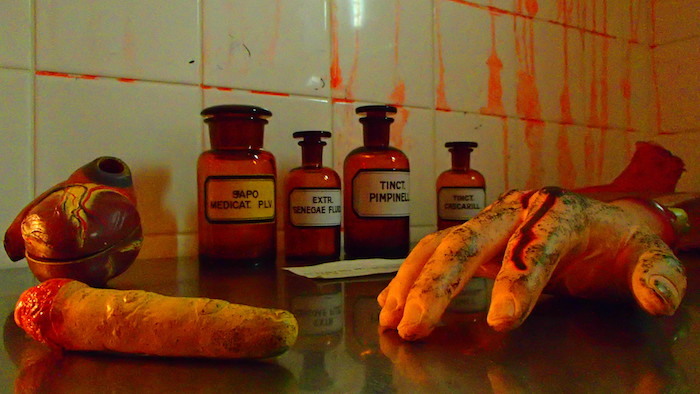 They might be able give you some unusual must-do’s themselves. Ozzie’s are not only very friendly, they are also very generous. I experienced that when I stayed with a Australian family but also when I was basking on the street. 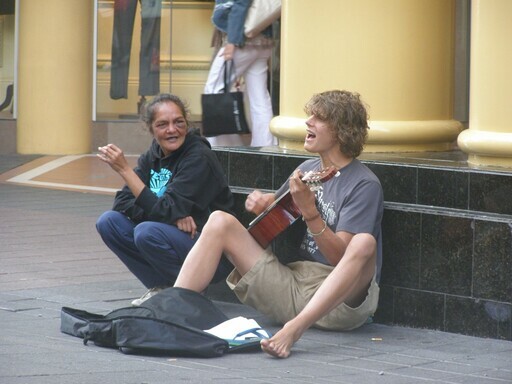 When you play an instrument on the street people start talking to you, leave you notes and sing along. Besides a great must-do it will also earn you some money for your journey. When you backpacking in Australia you should definitely wake up on the beach once during your travels. The best would be if you could find a beach where you the only one. 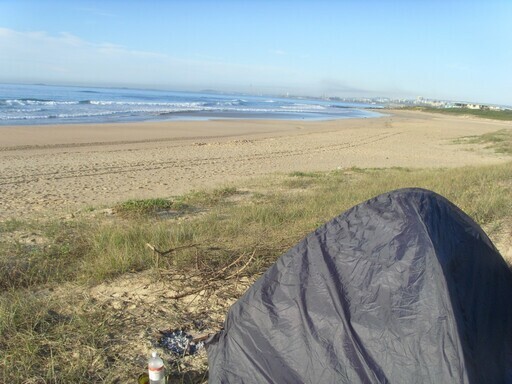 It is just a great feeling to open your tent in the morning and see the beach. Watch out for spots where it is not allowed, we almost had to pay 1000 Dollar fine. 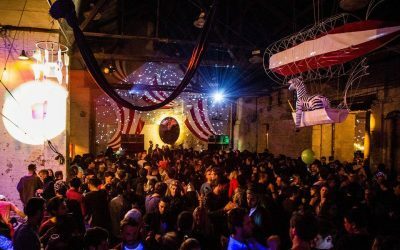 Ok, this might not be the most unusual and unique must-do in Australia but it is great anyway. Flying above the Great Barrier Reef, seeing the large fish and whales is just something magnificent. Check out this website for more information. They can also make a video during your jump, just in case people might not believe it back home. Most hostels have a great kitchen but I would advice to make a tour with 4 people and survive a few days in the middle of nowhere. Hostels can also be found in Europe but the great nature of Australia cannot. 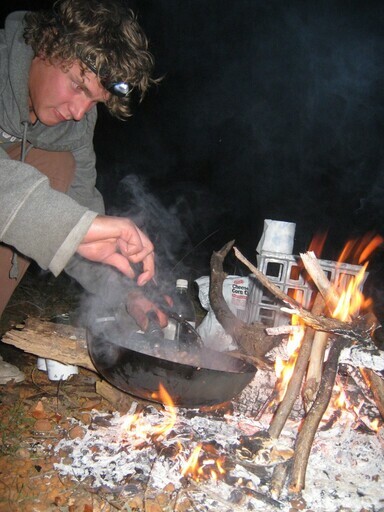 Cooking in the bush with a small group of people gives you a great feeling of freedom. Everybody who went to Australia will laugh when they think of Goon. Because beer is too expensive everybody drinks this cheap box-wine made of nuts and fish. It will not make you drunk like in Europe, it will bring you in a whole new area of drunkenness. 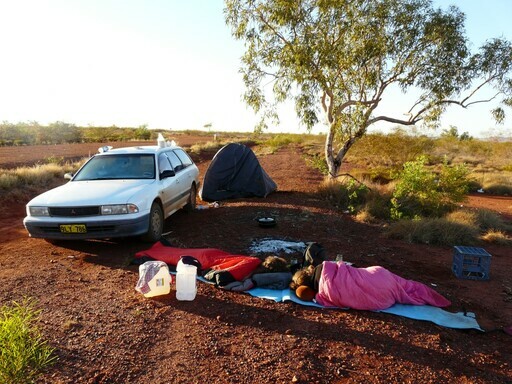 Most backpackers in Australia have some crazy experiences because of goon. It is part of your travels and a must-do. This might be the best tip I have for all backpackers in Australia. Make sure you get yourself a great souvenir. When you are back home you will miss Ozzie once in a while and a cool souvenir will be the best you can have. Let people write you cards and send them home is a cool idea. 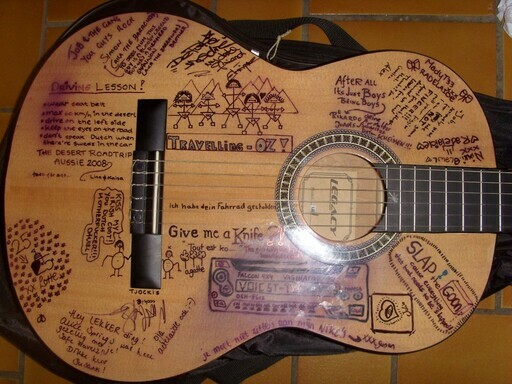 But also having a large object where everybody can write something on you meet: I bought a cheap guitar and everybody wrote me a small message. Also make as much photos as possible but do not forget to enjoy.